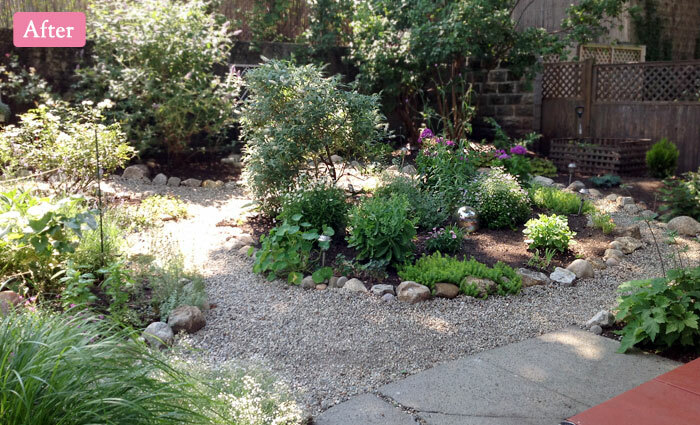 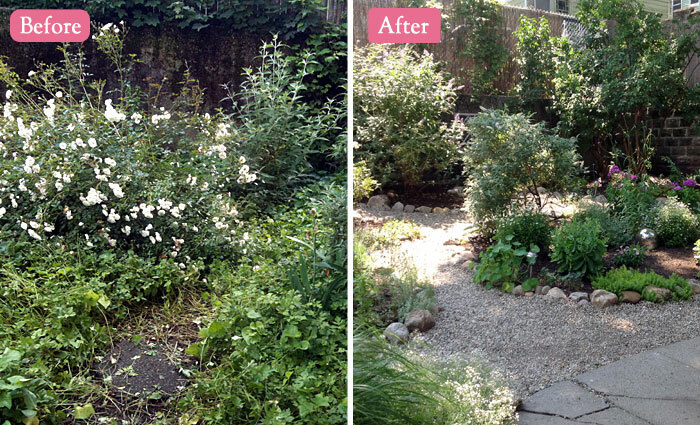 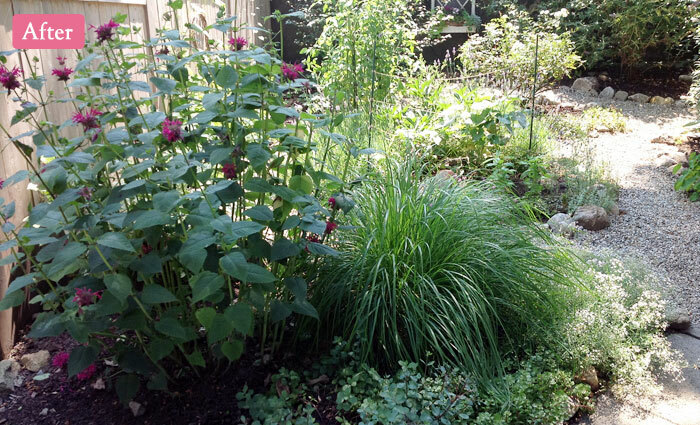 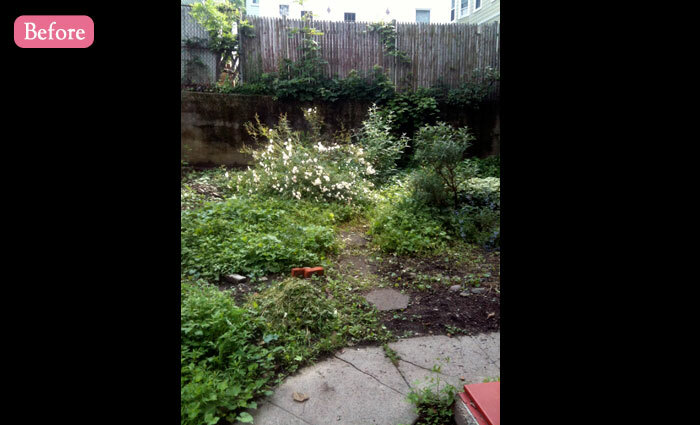 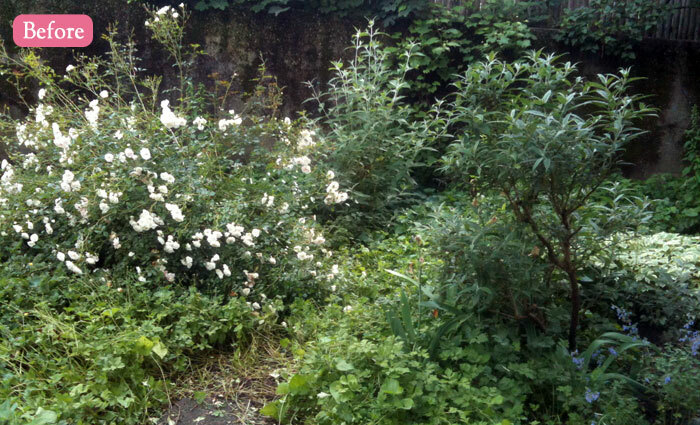 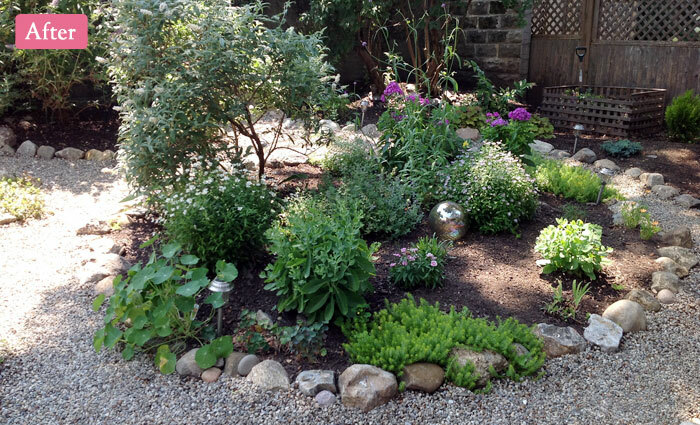 The homeowner wanted to turn their overgrown backyard into a tranquil garden space to relax and enjoy nature. 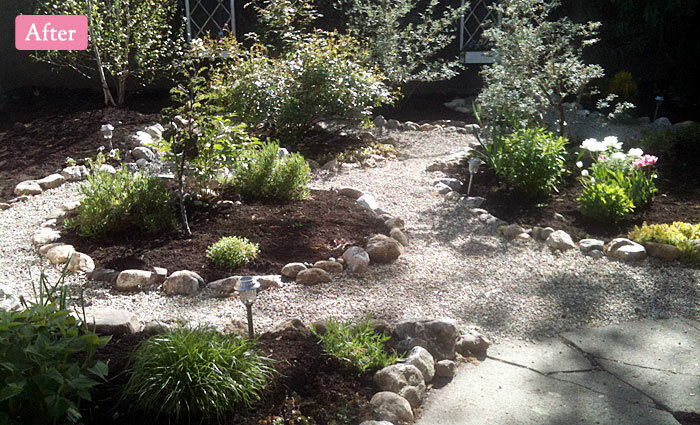 To evoke this ambiance, we established a system of pea stone pathways accompanied with a rounded stone border. 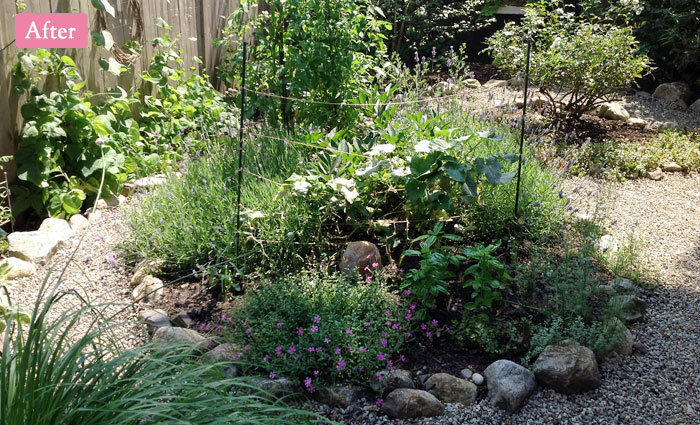 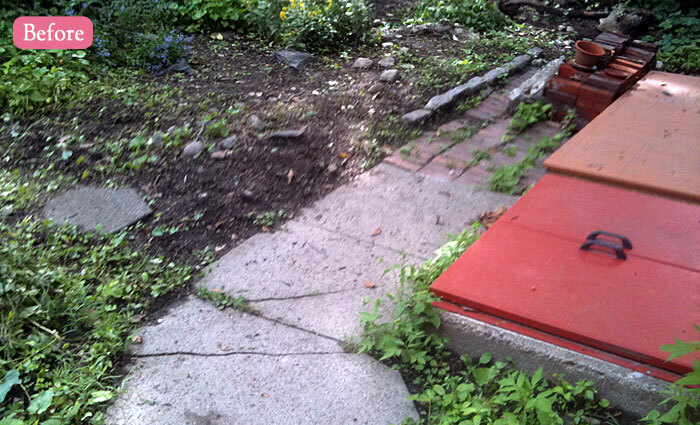 We also carved out multiple spaces for the homeowner to grow vegetables such as tomatoes, kale, and oregano. 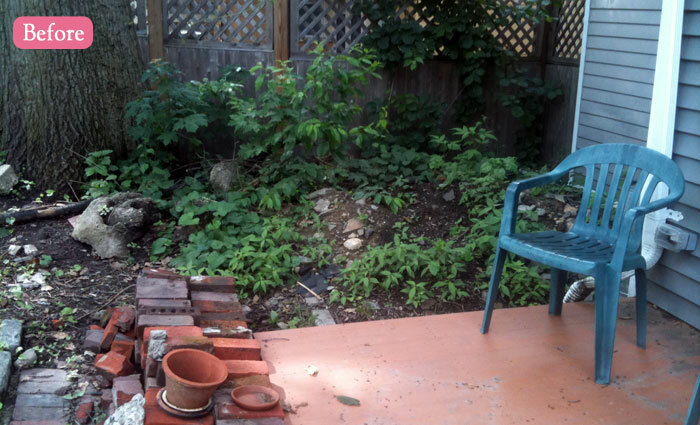 Lastly, we extended the patio and created sitting areas throughout the garden to rest and feel at one with nature.